In the 1960s, I was a teenager enthralled by the music of Elvis Presley. I kept his records in two storage boxes. The larger of the two housed my 12-inch square Elvis LPs or albums, each of which accommodated from 10 to 14 Presley songs grooved into the plastic vinyl. The smaller box held my 45s, mostly Elvis’s single records with two songs pressed back-to-back on a 7-inch black plastic disk with a big hole in the middle. When I purchased the 45s, which I did invariably within a day or two after they first appeared on the record store wall racks, they nearly all came in prized thin paper picture sleeves. On occasion, though, while flipping through my box of Elvis singles, my fingers would come across a much harder picture sleeve. Inside those cardboard covers were Presley “extended play" records, usually just referred to as “EPs.” They were the same 7-inch size as the single records, but contained more than two songs, usually four or six. RCA had a two-pronged strategy in releasing their first collection of Presley music in both formats. The 7-inch record design had only been in use a few years, and many American homes were not yet equipped to play the new 45s. By issuing Elvis’s recordings in both LP and EP formats, RCA made the product available to the entire music buying market, whether it listened to its records on the older 33 rpm players or on the newer portable record players that could also play at 45 rpm. Equally important, the EPs made it possible for all of Elvis’s album cuts to be played by disc jockeys, since most radio stations had been quick to convert their basic format to 45 rpm. 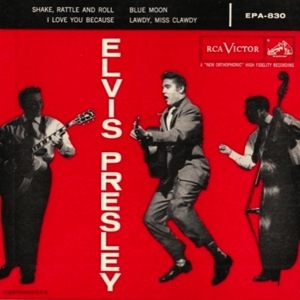 Sales figures confirmed the wisdom of RCA’s double-format release of Presley’s music. In its initial run, the LP sold a label record 300,000 copies. 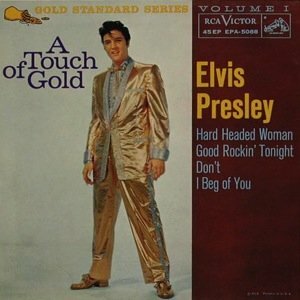 The 4-song EP, featuring “Blue Suede Shoes,” sold 400,000 copies, unmatched at that time for an EP. The double-EP added 150,000 in sales. With variations, RCA repeated its strategy of releasing accompanying EPs with Presley’s next three LP albums. In October 1956, the label released Presley’s second LP, entitled simply “Elvis,” which included 12 new recordings. RCA released three EPs, each with four cuts from the LP, but this time the EPs were released over time. 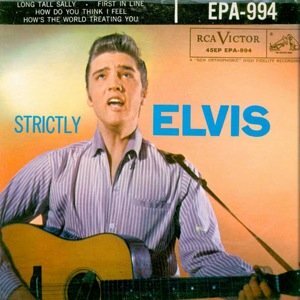 Volume 1 was released simultaneously with the LP, but volume 2 was held back until December, and the final EP volume, titled “Strictly Elvis,” was released in January 1957. The LP sold half a million copies, and the three EPs it spawned collectively sold over a million and a half copies. With Elvis’s next LP, the soundtrack for his film Loving You, RCA tried another variation of its Elvis double-format release strategy. The first EP with 4 songs from the Loving You actually came out a week before the LP was released on July 1, 1957. The volume 2 EP of Loving You cuts came out several weeks later, followed a month after that by a final EP with the rest of the songs from the album. For Elvis’s next LP, the soundtrack to his 1958 film, King Creole, RCA again tinkered with the release order of the album and its accompanying EPs. This time two EPs, containing a total of 8 songs from the movie, were released in July 1958, a full two and a half months before the LP was released in mid-September. 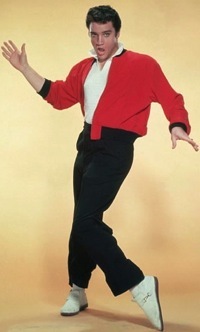 By this time, RCA had realized that Presley’s teenage market preferred EPs to long playing albums. The two King Creole EPs sold a half million copies each, while the movie soundtrack album sold only half as much when released in the fall. Two of Elvis’s four movies in the fifties didn’t contain enough songs to fill a full album, and so they were released exclusively on EPs. 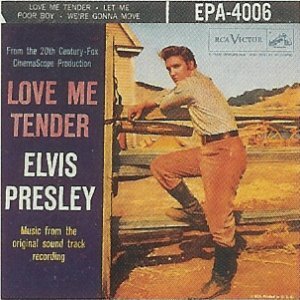 The first was for Love Me Tender, the EP for which came out in November 1956. 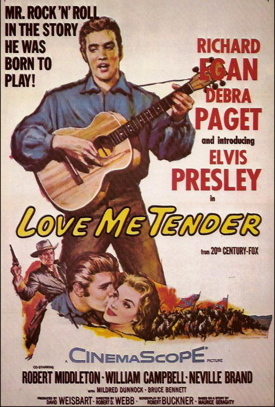 The title tune had been out on a single for two months, but the other three songs from the film were only available on the “Love Me Tender” EP, accounting for its high sales count of over 600,000 copies. 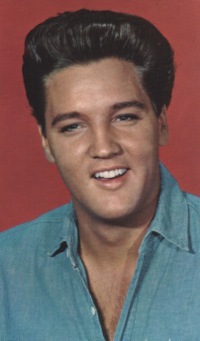 It was the second biggest selling EP in Presley’s career, topped only by another movie extended play the following year. 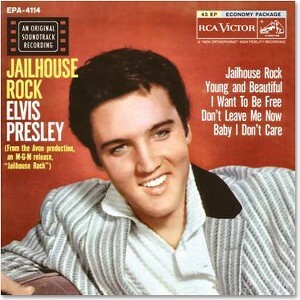 At the end of October 1957, RCA released the “Jailhouse Rock” EP, which sold over a million copies. 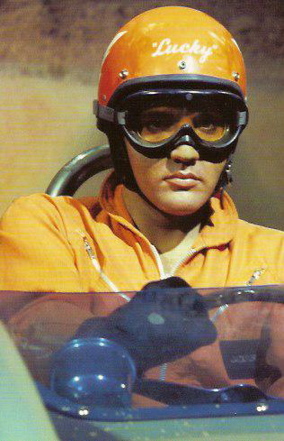 The title song of Elvis’s third movie, previously available on a single, was included on the EP. 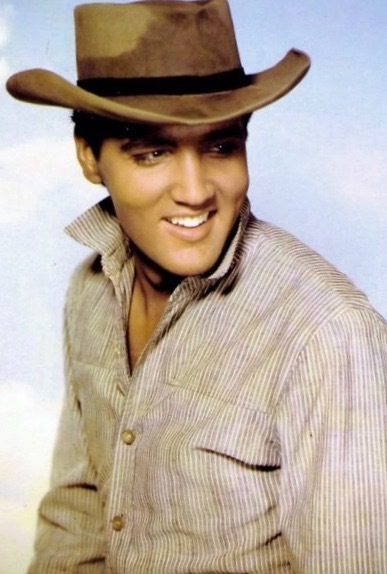 However, the other four songs—“Young and Beautiful,” “I Want to Be Free,” “Don’t Leave Me Now,” and “(You’re So Square) Baby, I Don’t Care”—were only available on the EP, making it a “must have” for Presley’s teenage market. One other Presley EP in the fifties offered previously unreleased Elvis material. When he sang the spiritual “Peace in the Valley” during his final appearance on “The Ed Sullivan Show” in January 1957, a demand for its release on record developed. In April it was the lead cut on an extended play released by RCA. 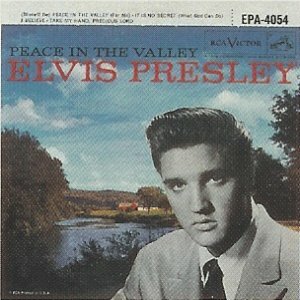 As the EP was the initial release for all four songs on it, the “Peace in the Valley” volume sold over 400,000 copies. Six months later in October, the four gospel songs were released again as filler material on “Elvis’ Christmas Album.” The eight Christmas songs recorded especially for the LP were released again on two EPs. The first one, featuring Elvis’s holiday standard, “Blue Christmas,” incredibly sold a half million copies, incredible because it was released at the same time as the LP. The other Christmas EP, containing four traditional holiday songs on the LP, was issued a year later in September 1958. It sold only 80,000 copies. 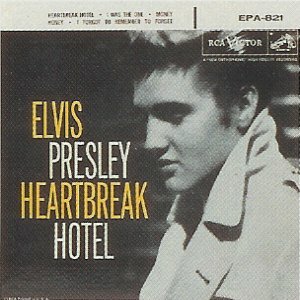 Soon after the “Heartbreak Hotel” single and his first LP were issued in March 1956, RCA realized it had a runaway train on its hands with Elvis Presley. The label leaned on the throttle and began issuing Presley product every month for the rest of the year. 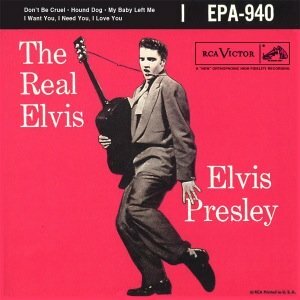 If a new single or album wasn’t ready to go, RCA kept the fire stoked by simply putting out EPs filled with previously released Presley recordings. They included the EPs “Heartbreak Hotel” in April, “The Real Elvis” in July, and “Any Way You Want Me” in September. The RCA strategy of issuing previously released Elvis songs on extended plays was especially important to the label during Presley’s army stint in 1958-59. With only enough material on the shelf to support single releases during that period, the label had no choice but to recycle Elvis’s tunes on LP and EP issues while he was overseas. By the time Elvis returned to civilian life in March 1960, RCA had 23 extended plays in its Presley catalog. Many were reissued in the label’s “Gold Standard Series,” and so continued to be available through record stores into the mid-sixties. The EP format, though, had slipped in popularity while Elvis was away, and only six more new Presley EPs were issued in the 1960s. Five of those volumes were important to Elvis’s loyal fan base, however, since they contained Presley music not available in any other record format. 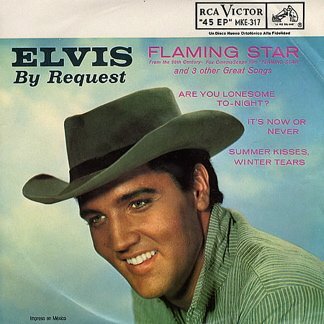 The first was the unusual “Elvis by Request: Flaming Star” EP, issued in February 1961. 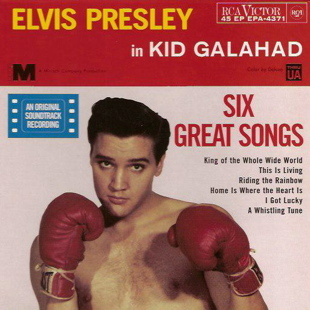 Originally, RCA did not consider the title song to Presley’s sixth film worthy of public release. However, after a Denver DJ tape-recorded the song in a movie theater and began playing it on the radio, public demand developed for it on a record. 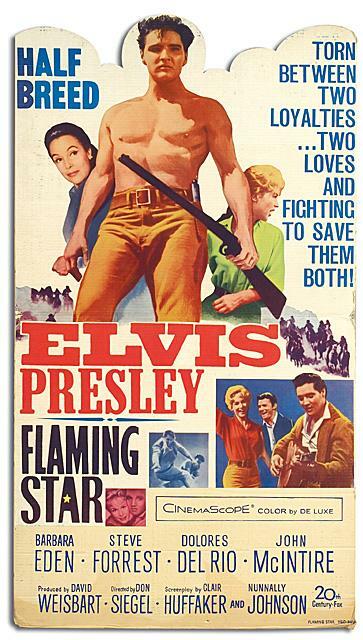 Still not considering “Flaming Star” good enough for a single release, RCA issued it on an EP with the discarded movie song, “Summer Kisses, Winter Tears,” and Elvis’s recent #1 single recordings “It’s Now or Never” and “Are You Lonesome Tonight.” After its appearance on the 1961 EP, Elvis’s “Flaming Star” recording would not appear again on a vinyl record until 1968. The next two Presley EPs in the sixties were back-to-back “must-buy” movie soundtracks in 1962. 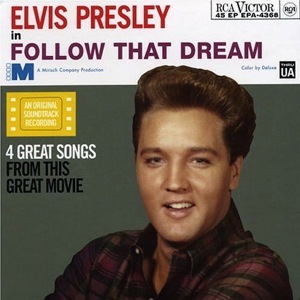 “Follow That Dream,” which contained four songs from the film, sold almost 500,00 copies, and “Kid Galahad,” with six songs from that movie, sold about 400,000 copies. All the cuts on both EPs were exclusive to that format and were not available again until they were issued on a Camden budget label LP in 1971. 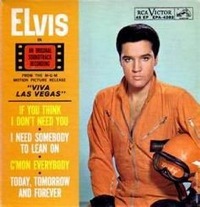 A Presley EP released in May 1964 featured 4 songs from that year’s hit movie, Viva Las Vegas. As with the two soundtrack EPs issued in 1962, all songs on this extended play were only available in the EP format. 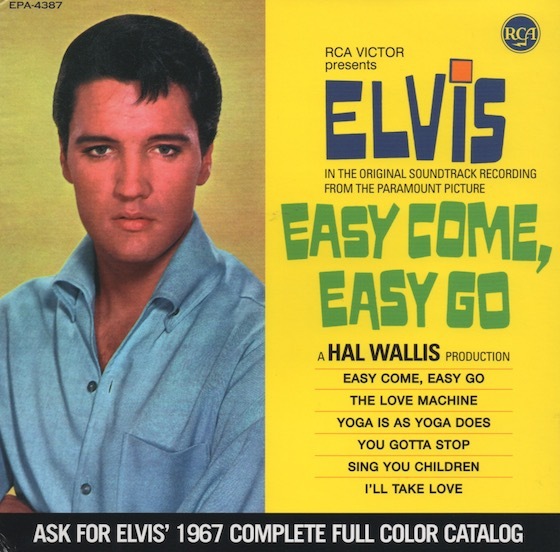 Since the film’s title tune, along with Elvis’s version of “What’d I Say” from the movie had been issued as a single, the EP suffered in sales, moving only 150,000 copies. The final two Elvis EPs issued by RCA were also movie soundtracks. The “Tickle Me” EP released in June 1965 contained five previously released cuts from LPs dating back to 1960. 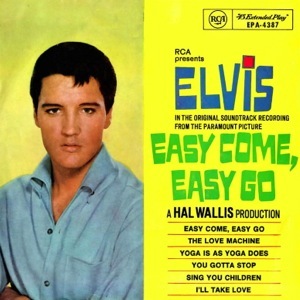 Then, in March 1967, six new songs from the movie Easy Come, Easy Go were available on Elvis’s final EP from RCA. 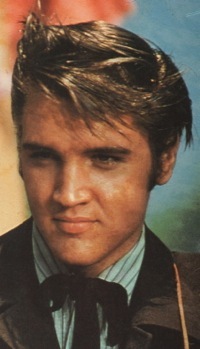 The format had played out in the record business, and that, along with declining interest in Presley’s movie career, resulted in low sales for these final Elvis EPs. 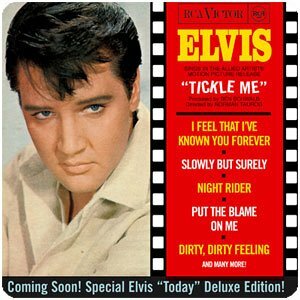 “Tickle Me” sold only 100,000 copies, and “Easy Come, Easy Go” sold a dismal 30,000 copies, making it the worst selling vinyl record of Elvis’s career. "At the end of October 1957, RCA released the 'Jailhouse Rock' EP, which sold over a million copies. 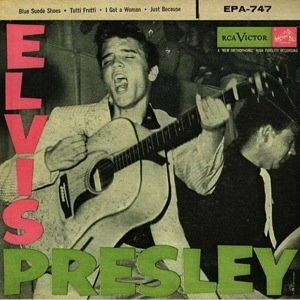 Four of the five songs were only available on the EP, making it a 'must have' for Presley’s teenage market."